IT IS NOW TIME FOR INVENTORY AND TO KNOW YOURSELF, FOR THE CHANGES OF THE PLANETS HAVE BEEN ON MANY DIMENSIONS AND LEVELS. It is a time of quickening to oneself and their nature. Many of you are going through intense moments about the nature of yourself, your fears, anxieties, and your core being. As well as going through high moments of joy, self-empowerment and intense dreams and travel, the world is in transition and your bodies are upon it. Be not troubled nor in fear of death, rather be fearful of your ignorance and your choosing to continue living a meaningless life to yourself. The time NOW is to put the mask down and really look in the mirror about yourself. The real foundation comes from within, the peacefulness and who you are. That’s who you are and what you have been in many lives. Your masks and makeup will not hide your true nature. For anyone with a keen eye can see right through it by looking through your eyes into your soul. Moreover, higher vibratory beings have Akashic records on your duties and deeds. In short, your very nature of the core of your being and not just your body, for that is just the skin suit. For the gem is a gem regardless of its mounting and that has inclusions that determine its value. So does your soul, it has the markings of your life and lives. All of this creates your vibratory frequency. So in the changing turbulence of the world to come make sure that you take inventory of your soul. The makeup will not do. You change your frequency by changing your inventory that you have with yourself, mind, and soul. You have a personality but much of it is also a product of your DNA history, your ancestors. In order to change it, you alone must inventory it and decide what to remove, no different than cleaning out a house of useless junk. In short, make yourself ready for changes and a move because some of you may undress from your body and only your soul cord, brilliance, and beauty will be your currency of value to the higher beings that are watching all of this happening on your planet right now. Pack your luggage of LIGHT, self-purpose and knowing for your journeys. Many ships and many beings are ready to take many of you home. And I can assure you this is not heaven, nor is it hell. Think of it as your parents taking you back home from your Summer vacation. Your souls will go through many different Realms and many different bodies far beyond this Earth world. Learn to stop the patterns that cause you continual disruptions because the only moment to do that is the NOW. The more you learn to pattern yourself with changes at the most stressful time with the imprints of the deepest corrective forces in your nature and test your will, so you can override conditions that are normal patterns in your life. 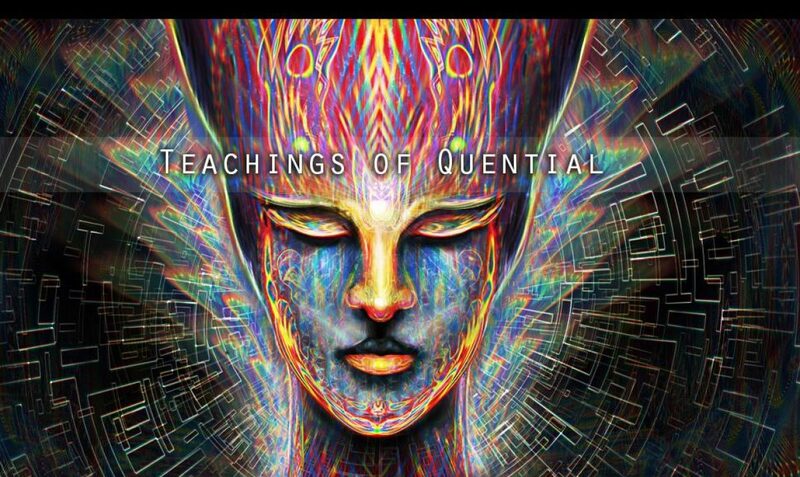 Quicken your soul consciousness and raise your frequency. Worry not about the world and what will happen, rather worry about yourself and your vibrations. Keep an open mind and remember your dreams, for this will keep you connected to your higher self. And many of you are traveling and being taught many lessons now in the dream state where you are freed from the connection of the Matrix that has made you bonded to the material and to the agenda and scripts of the elite running your world. Just know this, they are not good keepers they do not care about you, you’re merely a container and a resource. And mind you, they are human just like you and there is no escape from Karma and action. Please understand, we want you to grow up and become strong on your own two feet standing and walking in the spirit of LIGHT, not kneeling to idle images that suppress your growth. And this does not mean being as you say ‘egotistical’. We want you to understand that LOVE is one of the most important aspects of being and that is what you need to learn, for everything and everyone. Tolerate LOVE but not ignorance. Be aware of your inner compass, for that is your chart and your list of things to do as an incarnated soul. One weapon of ignorance is that you’re not supposed to have an ego which is farther from the truth than you could imagine. Being self-centered means are centered on the SELF and you don’t demand others to fulfill you and control you by your own insecurities and illusion. Any other teaching is ignorance and links you to servitude for the collective of the elite that runs your world which has been doing so for the last 2500 years. It is time to break away from the internal ignorance that is in the teaching soup on your planet and look deeper for the silver lining of your being has oxidized with illusion. Polish your inner being until you can reflect to see the soul that you want. Previous Previous post: METAMORPHIC CHANGES OF ASTRAL DENSITIES ARE SHIFTING AND WORLDS ARE COLLIDING WITHIN THEMSELVES AND CONDENSING. Next Next post: FOR LOVE BECOMES A STATE OF UNION OF ARC AND SPARK.